A collection of items I have handspun or handknit, or both. 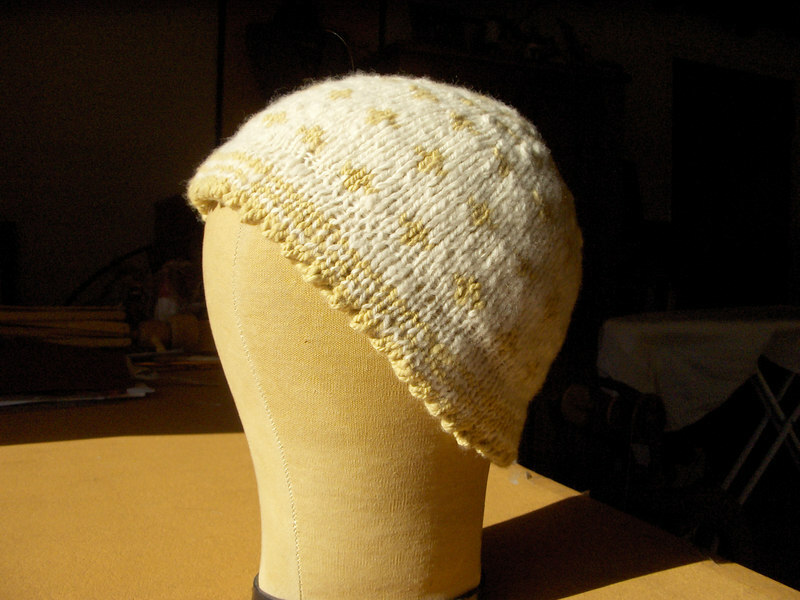 A handspun and handknit cap commissioned by a friend. The colored yarn was dyed using natural plant materials. I designed the pattern, as well.